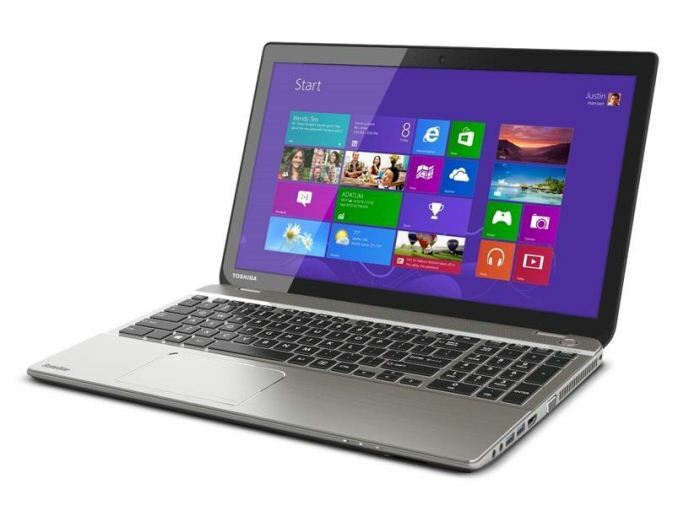 Another quick bit of news from CES: Toshiba is aiming to release two 4K (UHD, 3840x2160) 15.6" laptops in mid-2014. The first is a workstation design based on the Tecra W50 which sports a Haswell mobile GPU and a 2GB NVIDIA K2100M, and the second is the Satellite P50t, a touch-screen design thinner than the Tecra W50 using either integrated graphics or a mid range mobile graphics solution. 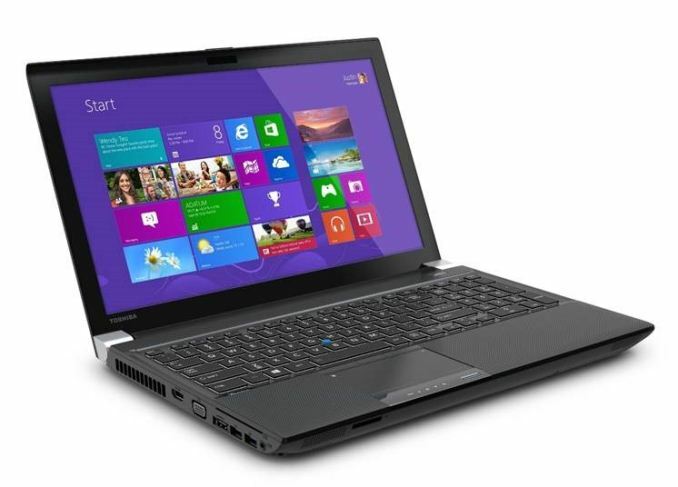 The Tecra W50 edition (note Toshiba do a 1080p W50 as well) will be configurable up to the high end quad core models and support up to 32GB of memory. Being a workstation class product, Toshiba puts this model under their Highlt Accelerated Life Testing (HALT) in order to ensure longevity. The 'ultradurable' design incorporates a spill resistant, LED backlit keyboard with 10-key number bad, an integrated Trusted Platform Module (TPM), a fingerprint reader and optional SmartCard technology. The chassis will also provide dual USB 3.0 ports, one USB 2.0 port, a media card redia, eSATA/USB combo, HDMI and VGA ports. Gigabit LAN included as well. Until Toshiba put out a formal press release, pricing is speculative at best. Hopefully they will be on the Toshiba stand at CES for when we are able to have a look. The 1080p version of the W50 starts at $2000 MSRP for reference. Does it come with Android?? There is no way MS Windows can handle 194 PPI!